In comics, it’s the quick bursts of brilliance that can be found in the most peculiar of places; a fly by night one shot here, a back up story in a random annual there or even a short run in an anthology. These newsprint vehicles contain some gems from creators that didn’t have the interest or mileage or opportunity to be thrown into the spotlight by the hands of fate (or editors). Another reliable delivery system for these kind of unsung comics is the mini series, specifically the ones from the independent press. Many examples can prove me wrong, but the mini series isn’t conducive to dragging out a story. It forces it to be told efficiently while still giving it enough breathing room to develop substantially. Second City is the perfect example of a layered and ambitious comic book that rewards the reader beyond the brief commitment to four issues. Written by Paul Duncan and drawn by Phil Elliott in 1986, Second City was released by the short-lived publisher, Harrier Comics. I first came across a random issue of that title a couple of years ago. Upon reading it, I was taken by how eloquent and visually striking it was. Even when I found the remainder of the mini series at a local back issue shop, it wasn’t enough. I had to know more about it, how it came to be and who was responsible. Phil Elliott is a longstanding staple of the indie UK comics scene. His projects include Tales From Gimbley, Tupelo, and several other comics for Escape and Strip Magazine. Paul Duncan was the founder of comics magazine Arken Sword and after a brief stint in writing comics, he focused on writing, editing, archiving all things crime stories. When I contacted both gentlemen to investigate further, they graciously mapped out their collaboration and looked back to examine their work on Second City. PHIL ELLIOTT: I’d known Paul Duncan for a few years due to his editorship of the comics magazine, Arken Sword. Paul was helpful in promoting my work and that of other British artists working on the fringes of the comics industry and we often discussed collaborating on something together. Our “big break” came in the form of Harrier Comics, a UK publisher who was taking advantage of the growing direct sales market. This was an opportunity to have our work published and also reach a wider audience… and we might even make some money from it! We weren’t the only ones thinking this. My old mate, Eddie Campbell had the same idea and he and I had a friendly competition at the time to see who could get their comic released by Harrier first. Second City pipped Eddie’s Deadface by about six months. Actually, if I remember correctly, the first chapter of Second City was originally going to be a stand-alone story which we thought could be expanded, and that’s when we approached Harrier. PAUL DUNCAN: Phil and I knew each other from the London Comic Marts, where everybody from the Fast Fiction (i.e. self-published comics) scene, comics fandom, and the emergent 2000AD/Warrior creators met every couple of months for a chat and gossip and news, as well as to buy the latest comics. I'd always admired Phil's clear-line style of art, and the great work he'd done on Doc Chaos and Gimbley, and had included some of his work in my magazine Arken Sword (later Ark) as well as interviewing him for the mag. In fall 1985 he rang me up, saying that he wanted to work on something a bit more commercial for the burgeoning American market, and could I recommend some writers for him to collaborate with. I gave him some names, and also, uncharacteristically, suggested myself. He looked through the scripts he received and decided to illustrate my short 6-page SF strip, which was fashioned along the lines of Blade Runner, film noir, and his own self-reflective comics. Although Phil had worked on pro comics before, I had not, so it was a little nerve-wracking for me. Phil quickly put together the first story, “Contact”, and he even finished it off with a lovely wash finish. We sent copies to David Lloyd and Steve Bissette to get their reactions, which were favourable. Dave suggested changes, mainly to make it more linear, but both Phil and I resisted this because we felt that its air of mystery was one of its strongest points. At the beginning of 1986, Phil sent a copy to Eclipse Monthly, who sort of liked it, but wouldn't commit to anything solid. While we were waiting, Phil and I were starting to think in terms of doing a series of 6-page stories that gradually revealed the background and a larger story. We showed the strip and explained the idea to Martin Lock of Harrier Comics, who had a stall at the London Comic Mart, and was easily accessible. Although we weren't particularly keen on some of his comics, we liked him, he was a solid dependable person, and he was willing to give us complete creative control of every aspect of the 4-part mini-series. DUNCAN: The first story is a kind of “a day in the life of a government killer” which introduced the reader to the world, the technology, the characters, and the idea that people spent so much time in their room video-conferencing (what we call Skyping today) that they lost all sense of physical or emotional contact. This was written in 1985, before I had had any experience of e-mail and the Internet, and I was even using a card-punch system at Polytechnic to run and compile my programs. I had just read Isaac Asimov's SF mysteries The Caves of Steel and The Naked Sun, and this idea of a lack of real connection between people was the impetus of the whole thing. Also, at the time I was a student living at home with my parents, and we were all living in different 8-hour shifts, and I was very much struck by the fact that I was living in the same space as my parents but none of us saw the other for any appreciable period of time, yet we were all interdependent. To this idea of the rigorous control and fracturing of time was another idea added to the melting pot. Once Martin gave us the go-ahead, we decided to do a total of 16 independent chapters, but with each of them feeding into the other chapters, so that a whole was created. I loved Will Eisner's The Spirit, and wanted to get his sense of completeness for each chapter. Also, I love hardboiled and noir fiction, and I used Paul Cain's Seven Slayers as the model for economy and thrift in direct storytelling. I dived in with absolutely no idea of what the overall arc of the story was. The only thing we knew for certain was that the title was Second City. ELLIOTT: I’d some experience of drawing longer comics like Doc Chaos but was more used to creating short stories, often single-page vignettes. Paul was conscious that I might freak out if I was presented with a full 96-page script so he broke the story down into chapters and I received the script in short bursts. This of course meant I wasn’t entirely sure how the story would develop, but I never found this a hindrance. Paul’s scripts were quite detailed, with very specific notes about the staging of certain panels and the positioning of characters, especially where scenes mirrored each other. This didn’t mean Paul wasn’t open to adaptations or suggestions and we were in regular contact about the comic, discussing different approaches. This was before e-mails and we would often be on the phone for an hour or more, almost every day, much to my wife’s horror when the phone bills came in! DUNCAN: We worked on a chapter-by-chapter basis. The reason for this was initially because we didn't know if we could produce the work in bulk, and also because giving ourselves short-term objectives made our progress seem quick. This is how it worked. I wrote, by hand, a six-page script, with a thumbnail of the panel grids, and a full description and dialogue for each panel. I'd post it to Phil and he'd get it the next morning, read through it, ask questions if he needed to, then get to work on the artwork, producing a page or more a day. The following week, I got photocopies of the chapter first thing in the morning, read through it, and then telephoned Phil with notes on specific panels. Usually, the changes were to do with clarity of storytelling. Having seen what Phil had drawn - and he added a tremendous amount of additional detail and subtlety into the work - I reacted to it and incorporated elements into future chapters. So, on the day I received the photocopies, Phil would be making changes whilst I wrote the next six pages quick enough to get them into the post that afternoon, so that the process could be repeated until the book was finished. Inevitably, I messed up. On one chapter, Phil delivered the pages as written and I was desperately unhappy about it. It just didn't work - I had broken up the timeline to such a degree that it was as clear as mud. So I rewrote it using as many of the existing panels as possible. I'm sure that Phil curses me to this day for that chapter because although it was my mistake he was the one who had to pay for it. The design of the comics, including the covers (which were hand separated colours) and the title pages, were all done by Phil, and these are really, really superb. Given the nature of their collaboration, it’s not surprising that Duncan’s words and Elliott’s pictures are as tightly locked as if they came from one hand. The execution from one chapter to the next is quite skillful for a first time team. I couldn’t pinpoint whether Elliott's style was a result of aesthetic epiphany or just a change of pace, but it stands apart from what he did before and after. His work became more stark, even a bit less fussy, but it never lost any sign of subtle expression. ELLIOTT: Second City was my first attempt at drawing a conventional US-style comic book and it was always in my mind that if it were do well commercially I needed to adapt my existing drawing style. The main change was that I used a brush and more black ink – Paul had interviewed Will Eisner for Arken Sword and he kept reminding me what Eisner said about the use of black ink, which was something along the lines of you can never use enough of it. I also used a dry brush and stippling as the comic progressed making the art rougher, in keeping with the tone of the story. There are still elements of the European ligne-claire and it’s still quite cartoonish and stylized in places – Jack’s hair for instance, with its reference to one of my own characters, Gimbley – but it’s probably more grounded in a traditional US comic book style than my previous work, owing as much to Caniff, Eisner and Toth as to Hergé, Benoit or Hernandez. This fresh approach would become more apparent in subsequent books like Illegal Alien and Bluebeard and it’s only recently, with Contraband and the new Tupelo book that I’ve returned to my more obvious clear-line influences. 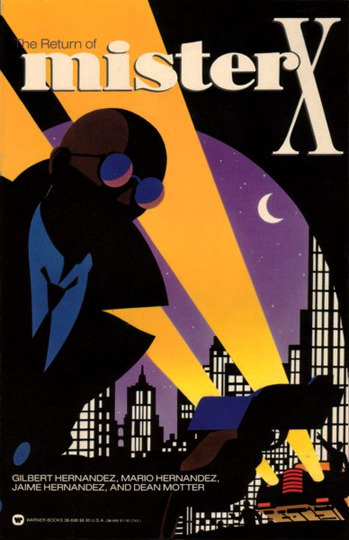 The only other comic from the same era with shared sensibilities as Second City is Mr. X. They’re minor details: the city as a character, the lone protagonist trying to save it all, the futuristic landscape. When asked about the similarities between Second City and Mr. X, the creators’ difference of opinion reflects the fact that those similarities are strictly surface level. ELLIOTT: We were trying something different in Second City but there were definite nods to Mr X. It’s fair to say that the style and design of the original 4 issue mini series owed a lot to Mr. X and Watchmen. I liked the way that those comics, and others, used design in such an effective way and I still remember the thrill of seeing each issue of Watchmen – Alan’s elegant prose, Dave’s artwork, John’s colours and the overall design. We never got so close with Second City, but we tried. Harrier gave us a pretty free rein but I wish now that I’d been more positive and refused to have any advertising in the comic and extended the designs onto the back covers. DUNCAN: Not really. Mr. X, the character, was an enigma and we don't really get inside his head, whereas the whole point about Second City is that we know and feel what's happening to Jack. In fact, I met Mr. X creators Dean Motter and Seth at a convention in 1986 and they immediately saw that Second City was a completely different beast. And you have to remember that Phil was drawing these sort of landscapes a long time before Mr. X was first published in 1984. 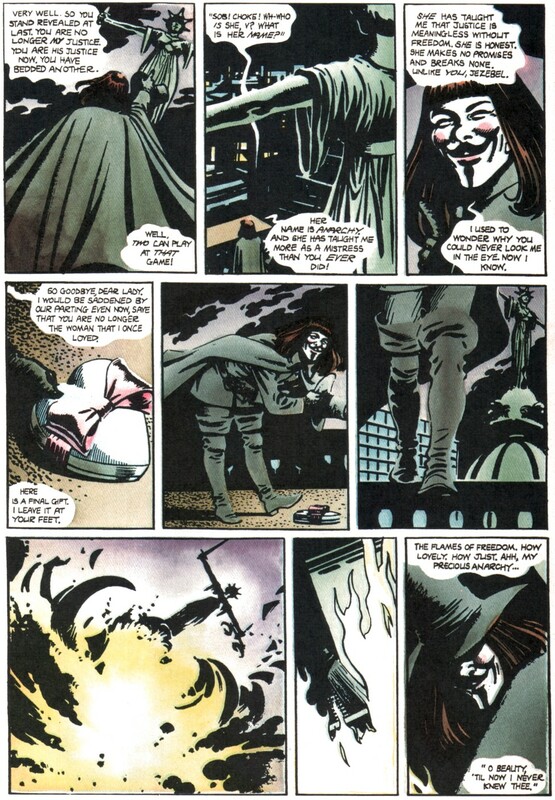 If any comic influenced me at the time, other than Phil's Gimbley comics, I'd probably say it was Alan Moore and David Lloyd's V for Vendetta, not only for its tone and message, but for its 9 panel grid system. Second City was published bimonthly from November 1986, just two months after Watchmen started coming out, so readers may think think that the grid system came from that, but it's definitely from V for Vendetta, which was first published in Warrior in 1982. Duncan’s writing is structurally strong and carefully executed, its voice far from precious, but it is the story’s warm tone that balances the comic’s initial coldness. Whatever well of inspiration Duncan drew from, it didn’t strike me as the same one used by comic book writers of the time. DUNCAN: The theme of the series was how a man finds and maintains his humanity in the face of a cold and uncaring environment. Since Jack, the central character was a morose and laconic individual, he wasn't going to explain much through dialogue, so I opted for a voiceover. This also linked it stylistically to film noir, so it all worked out for the best. As for rhythm of the text, it really comes from music. I was listening to a lot of Talking Heads, Joy Division, Velvet Underground, The Doors, Iggy Pop, etc. and I was picking tracks and words from the lyrics to get the flow of the text on the page. So, for me, there was a soundtrack for the book as I was writing it, but now, 25 years later, I couldn't for the life of me tell you what the tracks were now. The rhythm of the chapters was interesting because the 6-page format forced me to jump to a particular moment or turning point in the overall narrative without adhering to a linear story structure. So I could begin a chapter a day, month, or year after the previous chapter, and then fill in pertinent information as I went along. We played with this a lot. 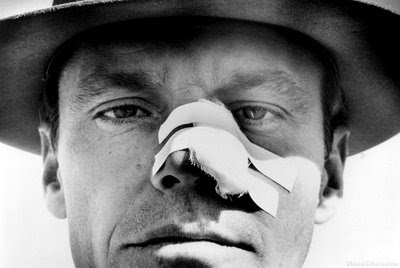 In the second issue you can guess at the passage of time by Jack's broken arm going from cast to sling to bandage over the chapters - an idea borrowed from Jack Nicholson's slit nose in Chinatown. Also, the references and remarks about previous events change complexion in the light of Jack's emotional state. This playing with time and memory gives the series an unusual feel, I think. I cannot speak for Phil, but I was definitely going through the 'alienated and alone' period of angst that I guess a lot of young adults go through as they are growing up. In childhood, the world is comforting and safe. Everything is done for you. Then, when you have to go out into the wide world, you begin to see it in a different light, as a place of possible danger and despair. You realize that people are not as straight-forward and honest as you would assume - that people can be hypocrites and self-serving. And also that dreams and life plans don't always turn out as you may wish. So, for me - and I can only say this now in hindsight since it was purely unconscious on my part at the time - the arc of the story was a realization that the world was so, and how do you deal with it as an individual. In every chapter, meaning every six comic book pages, Paul Duncan looked to reach profound human truths through his stories and he achieved that. It's rare for a comic to hit that note once, let alone by a young writer/cartoonist, but he and Phil Elliott sustained it without any posturing. Second City transcended the genre it was using; the noir trappings worked in their favor as Paul and Phil created something unique. The fact that the issue I found had been shuffled about between hundreds and thousands of deservedly forgettable comics is depressing. That’s just the way things are given the attention span of popular culture and the arbitrary gloss of popularity. However, distinguished works such as Second City deserve to be re-evaluated and put in front of a newer, sharper audience. Slave Labor Graphics released a now out of print collected edition back in ’92, but at least the individual issues can still be found pretty easily. It’s a work that should still be in print. It's a work that's too viable and interesting and beautiful not to be. ELLIOTT: I’m still very pleased with how the comic turned out. I enjoyed drawing it and take great pride in the fact that someone like you wants to know more about the comic, 25 years after the original mini-series appeared. It’s appeared in book form twice with talk of it being reprinted again - there are issues we dealt with in the comic that are almost more relevant now than they were then and I like to think it has stood the test of time well. DUNCAN: Rereading Second City after 25 years, and despite seeing many faults in the writing, I'm still immensely proud of it, and think that it makes for an interesting read. There is complexity in its arrangement and themes, as well as in its style of storytelling. At the time I dreamed of writing many comics for many people, but all my efforts were in vain, and it just didn't happen. I'm now living a completely different life than the one I planned, so I guess the theme of the comic managed to prophesy what would happen to me in real life. Aw Some. this was a ton of fun to read, and I imagine it will be even better to revisit once the issues I immediately ordered once I finished it get here. This is an excellent read. I loved this miniseries, and still re-read it occasionally. Big fan of both of these gents' work. 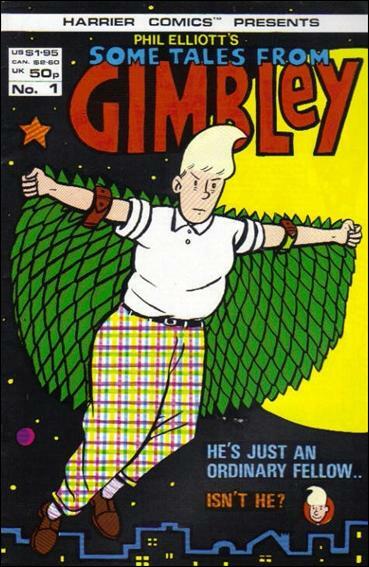 I'm still holding out hope for a "Gimbley" collection, as well! Because of you, and this post, I just ordered these. Awesome. Great article - thanks for this, I read the series when it originally came out, and have only recently just re-read it. 25 years on it's still a cracking read! amazing! any chance we could see more issues being made? Unfortunately, I don't think that will happen. Although Phil has a constant presence making comics, Paul hasn't written them since the 80s. As far as I know, there is no particular rumbling towards changing that.